So I didn’t quite get all the books I wanted to read this month read, but that is okay. The goal is quality over quantity and i just want to make sure I’m reading, challenging myself, nurturing my faith, and exploring other viewpoints. So this month I read four books (almost… but you’ll see what I mean in a bit!). I also realized my Kindle library of ebooks is almost the same size, if not larger, than my printed book library. I’m working on organizing my kindle books so I can better navigate them. I quite like the ‘collections’ that Kindle allows you to create so I can categorize books in various ways. If you haven’t explored kindle collections and read a lot of kindle books I highly recommend it. 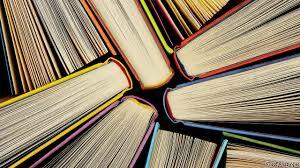 At the least, consider two collections – read and unread. This way you can track what you’ve read and haven’t and don’t have to navigate through everything to find an unread book. I know Kindle gives a percentage read in a book as a part of the icon, I find the collections allow an even easier grasp of what I’ve read and not. So here are the books I read this month and a basic review of them. All In – by Mark Batterson – A friend was reading this book and he valued the message though he struggled a bit with the author’s writing style. I need to say I agree. I think he makes some very valuable points about discipleship, but his writing style is one where he oversimplifies or over exaggerates things, and not always consistently. I’m not a fan of his writing style but do appreciate the content of his points. So a worthwhile read and I’m sure not everyone will agree with my assessment of his writing style, and that is okay! I read a book for the content and I found i had to work harder to get to the content because of the style of writing. Overall a good read though. Didn’t See it Coming: Overcoming the 7 Greatest Challenges That No One Expects and Everyone Faces – by Carey Nieuwhof – This book was excellent in challenging me to examine my own ministry and reflect on what adversity and challenges I have faced. He writes honestly and with humility for the most part. This book was recommended by a friend who specializes in helping churches assess their health and he is recommending this book to pastors. I think this book is useful to identify where we are at, what we have gone through, and what to watch out for in the future and how to prevent or minimize some of these challenges. The Insanity of God – by Nik Ripken – Our pastor at our church read for about 10 minutes from this book one Sunday when my wife was there (I missed it as I was preaching elsewhere). She came home moved by what she heard and said she thought I’d appreciate the book. If my wife says that I’ll always give it a try. All I can say is ‘wow’. What a moving, inspiring, challenging, and educating book. I highly recommend this to everyone who is of faith, wrestles with faith, or questions if faith is worthwhile. The focus of the book is the persecuted church and I won’t say more because I’m not sure my words could do the book justice. Jesus Through middle Eastern Eyes – by Kenneth Bailey – As I read this book I found out it was in many ways a social-cultural commentary for Jesus and the gospels. An insightful read. Now I need to admit I’m still not done this book, but have read enough with one section left that I can recommend this book, just as it was recommended to me by a friend a long time ago. I regret not getting to it sooner… but that is life! This book will be added to my commentaries for sermon preparation and personal reflection. The insights into the gospel culture are excellent. To be clear I don’t agree with all the conclusions made by the author, but I look for books I don’t agree with so I consider that a bonus not a negative. This book helps you understand Jesus and his ministry in a new and insightful way. I don’t believe it revolutionizes our beliefs in Christ, nor does it upend what we teach – it does add depth and insight that is meaningful and valuable. A worthwhile read either for as a resource or even personal devotional purposes. For December I’ll post my reading list early in the month rather than reviews. Most of my reading that month will be Christmas related or Advent related and thought I’d share those books sooner, rather than post Christmas, in case one of the title interests you and you want to do some reading over Advent and Christmas. Also, as always I’d love to know what you’ve been reading and recommend, and of course your thoughts on the book… please leave a comment below!